It is up for pre-order on Amazon already and perhaps the cards won't be carried directly by Amazon unlike the books. Probably be the same problem as with the miniatures which I find cheaper to buy from the UK than buy here in the states, $22 for on the of plastic boxes from the UK and $35 here sometimes more. Of course once we have done the trade deal with "Donald" all will be sweetness and light - cheap sweetness and light. So I was trying to adapt a Facebook find "Rise of the Liche Lord" and forgot to check this forum first. 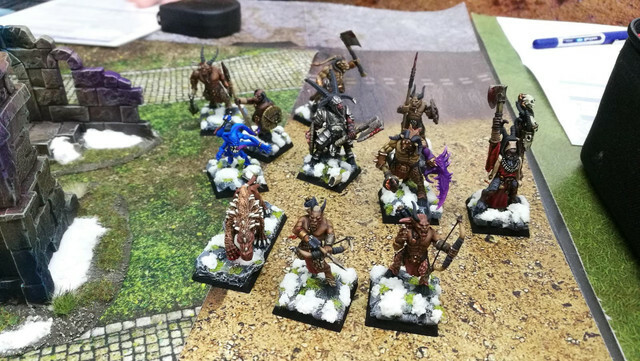 Does anyone have a scenario list from Thaw of the Liche Lord? Rufus got me through 6. I expect that the guy doing the adapting didn't have ship models because he left out my (forgotten) favorite scenario Frozen Shore. He also skipped the Rangifier one which doesn't bother me much. Wondering what comes next though. 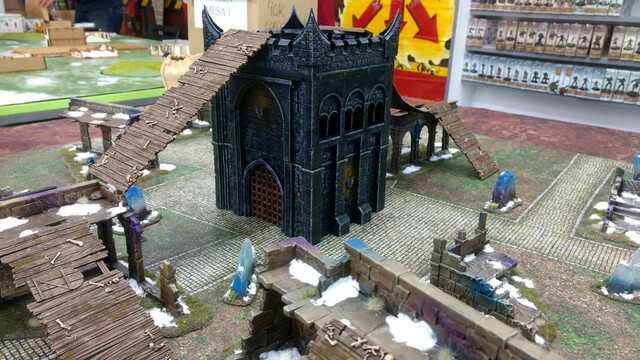 So I have been enjoying this last year on the bash and I think it will happen this year again, but besides the core rule book what should I order from the site? Still haven't bought into this game yet. I watched one at a convention recently, and couldn't get into it. I was disappointed, yet wondering if perhaps it was just how the game was being run. Come on GP, where is your adventurist spirit? Have to try everything once at least. Who said I wouldn't? Part of it doesn't have to do with what was most recently seen, but instead a s explained previously. Played my first game today, finally. Failed to cast every spell I tried with both my wizard and my apprentice. Started the game outnumbering my opponent, ended with only two guys standing, while he only lost two. Still, it was a draw, because we played the genie scenario and when he killed my guy carrying my third treasure he picked it up and it was the genie. I had chased off most of his other guys with my knight, and dropped a fellow with my crossbowman, and when the genie killed that guy I was the only one with models on the table, so the game ended in a draw! He got 410 xp though. :/ I got 150. I've only played the game a couple of times, but some of my friends are really into it, have played dozens of games and no sign of stopping. 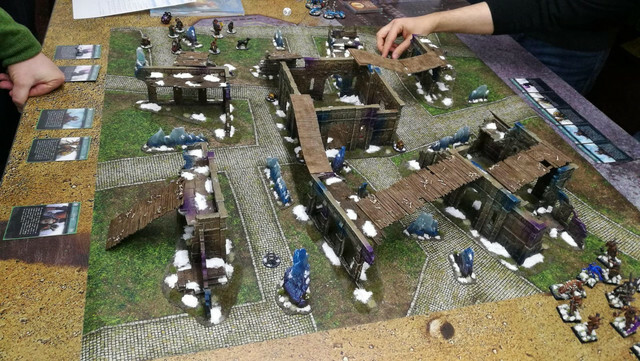 We're playing our second Frostgrave's campaign. 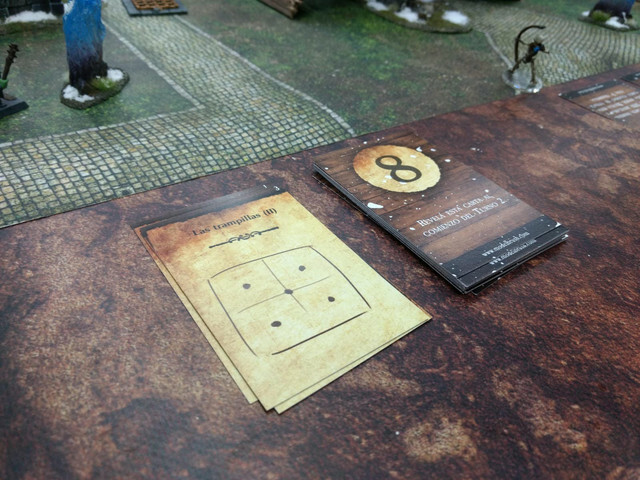 This time, we're using numbered cards for each turn to discover different events (as "build your own story books). Looks like a good board and I like the idea of cards to make a story like that! I also like seeing those bridges/ramps from the hobbit set being used like that. I had a similar idea to use them like that, but havn't got around to painting them yet. I think they look brilliant, and the idea of it sounds great as well.